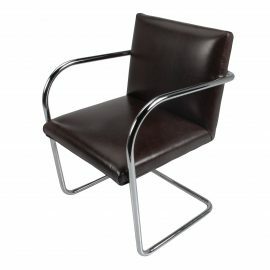 View cart “Brno Tubular Chair (Brown)” has been added to your cart. 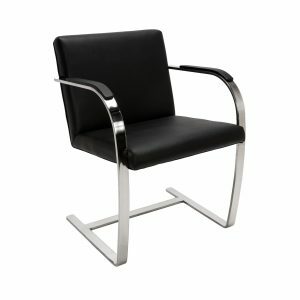 Tags: Leather, Chrome, side chair, chair, mid century, Black, Mies van der Rohe. 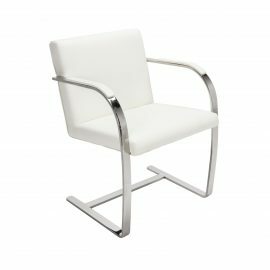 Available for rental with multiples (of this design and complimentary colors as well), a classic mid-century modern Mies van der Rohe design, the Brno chair in black is a staple of mid-century modern design . 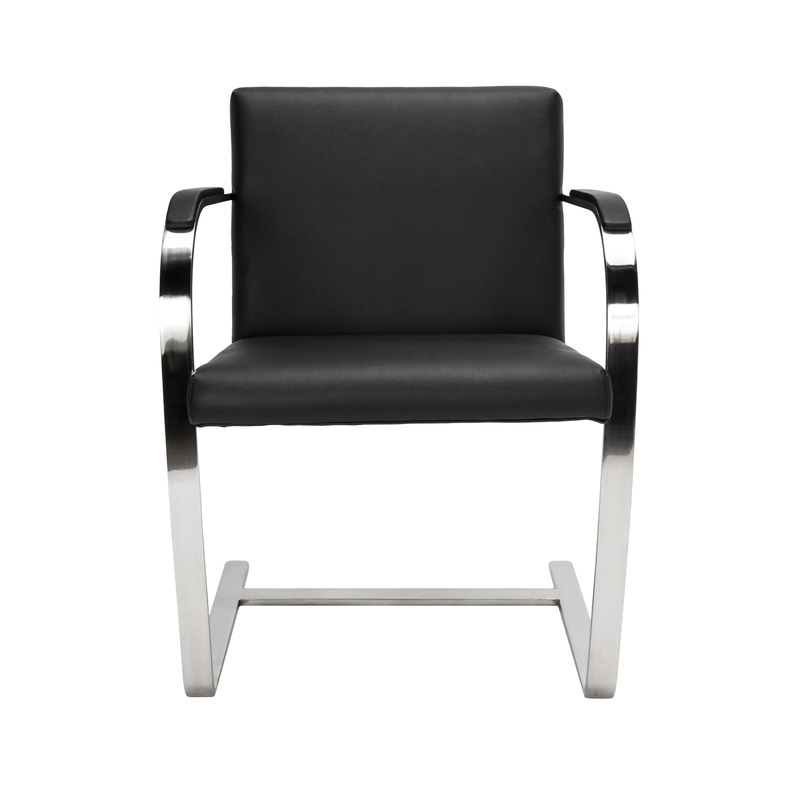 The Black Brno chair has a flat bar, chromed steel design with black leather seats and backs. 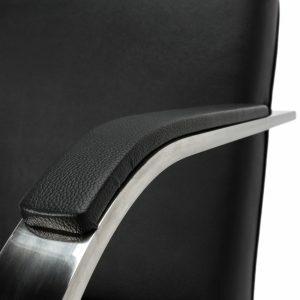 No matter the event, this item will be sure to work with whatever design you’ve created. 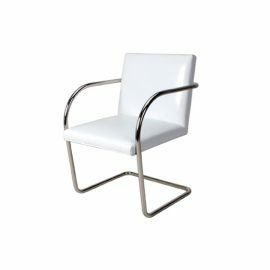 With a collection of chic mode-century modern lounge chairs and side chairs, FormDecor Furniture Rental ‘s inventory is available for event furniture rentals including, but not limited to trade shows, weddings, special events, corporate events, as well as social events. 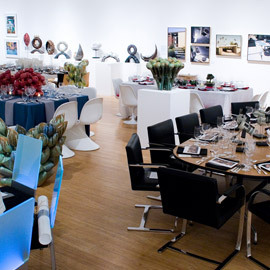 We deliver throughout Los Angeles and all of southern California. 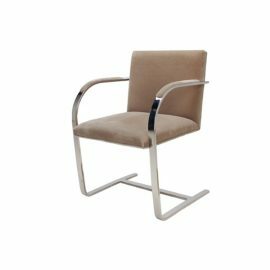 Furthermore, FormDecor ships nationwide through preferred freight carriers so our inventory is available for designers in all locations. 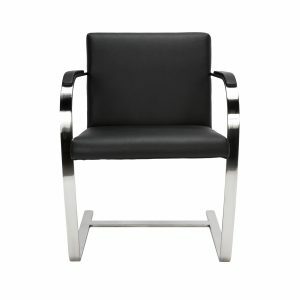 Brno Chair (Black).